Most people come to business school to change careers, and I’m no exception. I worked as a tech entrepreneur in the mobile app space before business school and came to Booth to transition into a new career in the tech corporate space, one that would be more impactful, stable, and financially rewarding. I went to college at Cornell University. Every year, there is a business plan pitch contest called the Big Idea Competition. 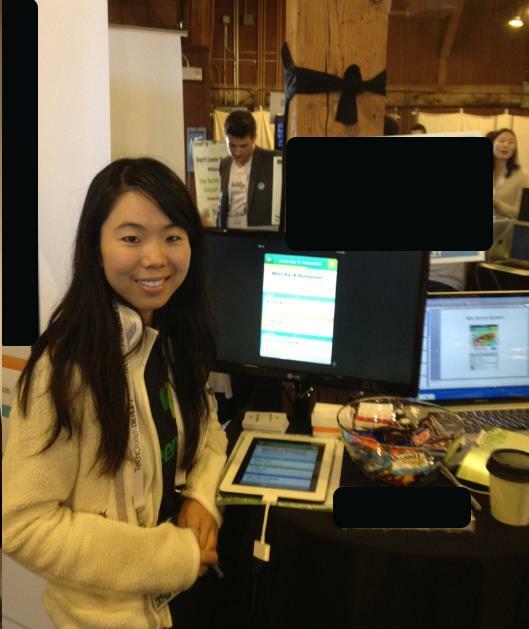 I ended up winning first place my senior year with an idea called Cashlert – it was a mobile/web app that alerted you of the ways you could save money using different credit or membership cards. I ended up creating a real version of this called Vidappe for the iPhone, Android, and web after graduation. Luckily, I was able to sell it a year later to a somewhat larger company. Unluckily, this company went out of business six months after I joined because they couldn’t raise their series A round. Despite what happened, the entire process was an amazing experience and I’m very grateful I had the chance to meet the people and learn the things I did. It helped me grow up, made me aware of my strengths and weaknesses, and helped me to appreciate what I had in my life. Working as an entrepreneur is something everyone should try to do once in their life. It helps you strengthen your sales, operations, and humility skills. You learn what it means to sell an entirely new product that no one has ever heard of, and what it means to make cold calls every day to businesses, customers, reporters, and anyone who can help your business grow. You also learn how to deal gracefully with rejection. You develop a tremendous amount of respect for major behemoths like Deloitte, GE, and Macy’s, companies that have been around for a 100 years. Why have they been around for so long? Because they know what they’re doing. You will also develop mad respect for the successful mom and pop shops in your neighborhood. Draper Fisher Jurvetson probably didn’t give Luke from Luke’s Diner $6 million to get his diner off the ground. Luke himself worked 24/7 for many years to make it a success. 1) Work for an established startup that is generating solid revenue growth and has raised at least a series B round. 2) Work for a startup that is solving a genuine problem, preferably in the enterprise, B2B space. 3) Be prepared to take a salary cut. 4) Check your attitude at the door. This is advice for every workplace but be kind, respectful, and pleasant to your colleagues and customers. It may seem obvious, but you’d be surprised at how the atmosphere and attitudes change once you begin to run out of money and the honeymoon period ends. And there you have it! No matter what transition you want to make, Booth and the amazing students and alumni will help you get there. Feel free to reach out if you have any questions. Star Li is a first year (Class of 2016) concentrating in Managerial and Organizational Behavior and Strategic Management. She likes watching James Cameron movies, asking questions, and making people laugh. She can be contacted at star.li@chicagobooth.edu.